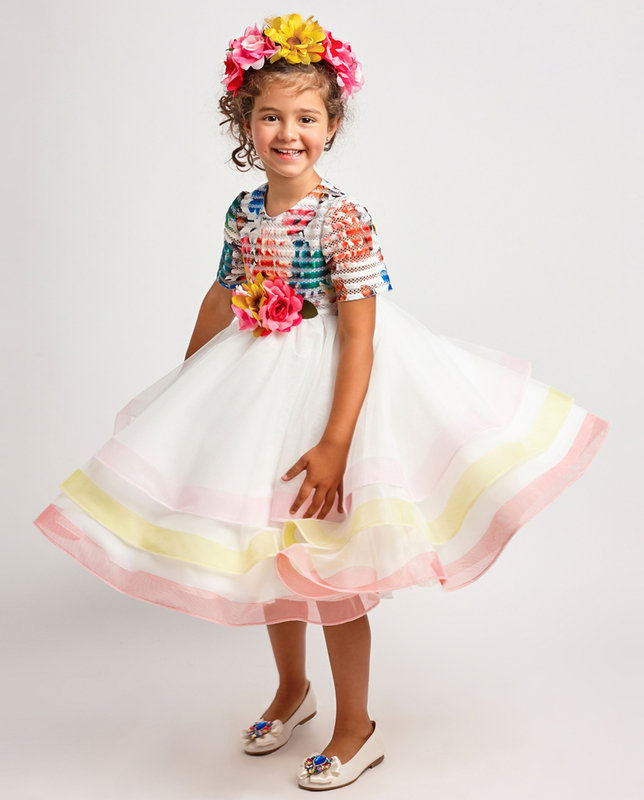 This sunny days Graci offers many fashion-forward dresses, using signature tulle and embroidery while adding in some fun, playful silhouettes. The color scheme this season will feature bold pinks and soft pastels making the collection romantic and sweet. 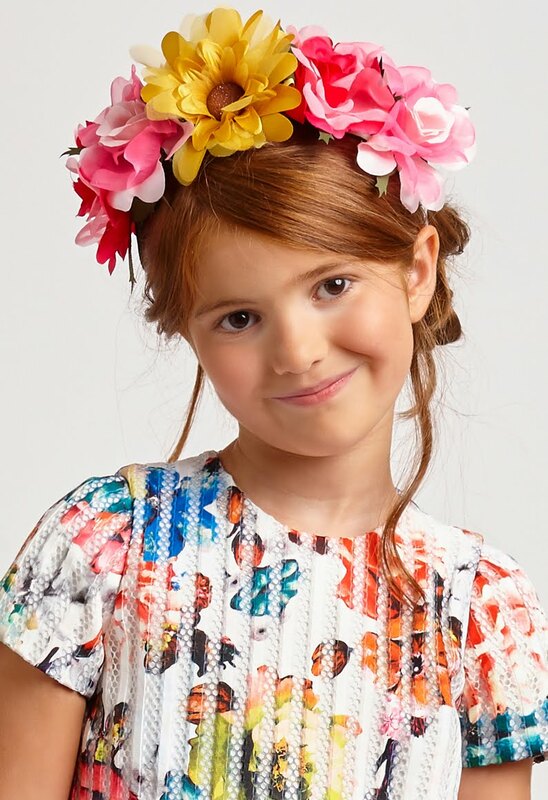 Girls floral tulle dress from Graci. 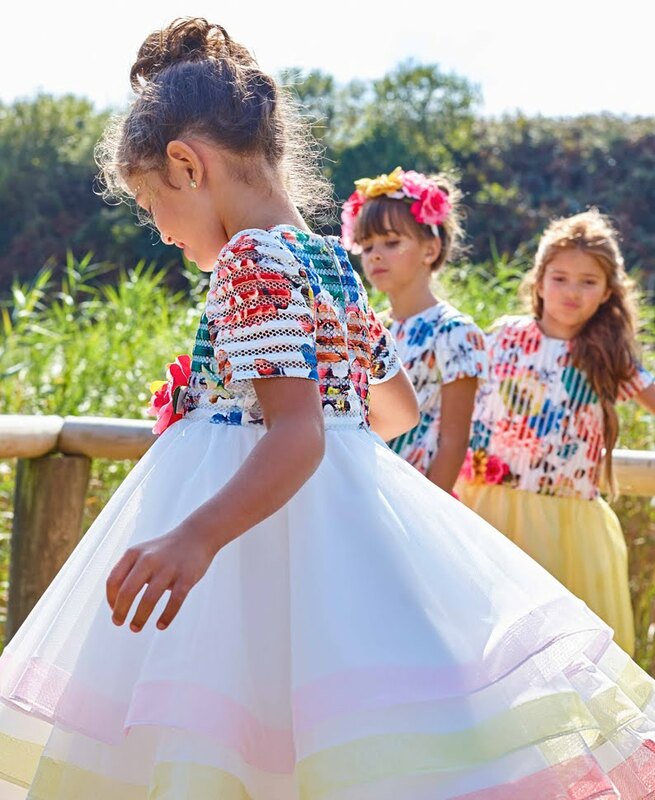 The colourful printed bodice is made in a cut-out fabric and has a fitted waist with a full and flared skirt made in tiered layers of soft tulle. A removable floral brooch is pinned at the front. The hems are dipped in pink and yellow pastel shades. There is a satin lining and stiff petticoats to give shape and flare, with a smooth cotton blend inner lining. The dress fastens at the back with a zip. This beautiful hairband by Graci is decorated with yellow and pink fabric flowers, which have been carefully handmade. The band is covered with ivory satin and it is a perfect accessory for a special occasion or to add a little extra colour to an outfit. 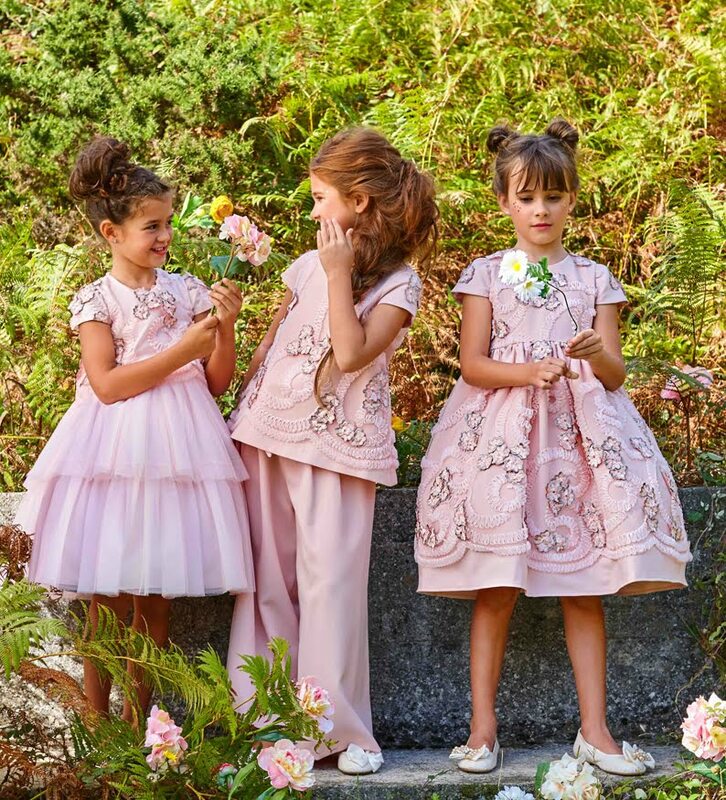 Girls peach pink embroidered dress from Graci. This exclusive design has a fine tulle overlay, embroidered with pink ruffle and floral appliqué. The bodice is fitted, with short sleeves and a full and flared skirt with a jersey underlay. The dress fastens at the back with a zip and has a smooth lining and stiff petticoats underneath to add volume and shape.